@jclub is on Carousell - Follow to stay updated! 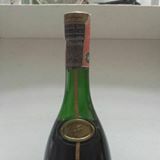 SUNTORY ROYAL 12 80年代 * 12 誠找長期合作商. Suntory Special Reserve Whisky * 12 誠徵長期合作商.